This book is the Official User Guide for the Gemini PDA mobile device by Planet Computers. Launched in 2018, the Gemini PDA is one of the first examples of pocketable 4G Mobile Internet devices with an integrated keyboard. This book covers setting up of your Gemini PDA, as well as valuable advice on how to use and maintain the device, maximise your productivity, and use the Gemini for enjoyment and entertainment. 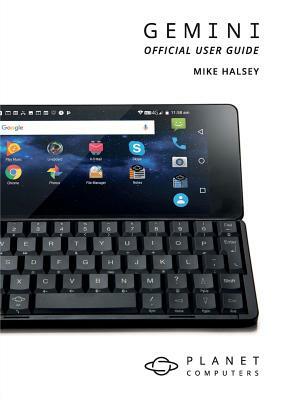 The author of the book is Mike Halsey, who also runs the Gemini PDA User Group on Facebook. The forword is written by Dr Janko Mrsic-Flogel, CEO of Planet Computers.